Camilla: Thanks for the gift guys! Can I open it? Chanel: Of course you can open it! It's your gift. 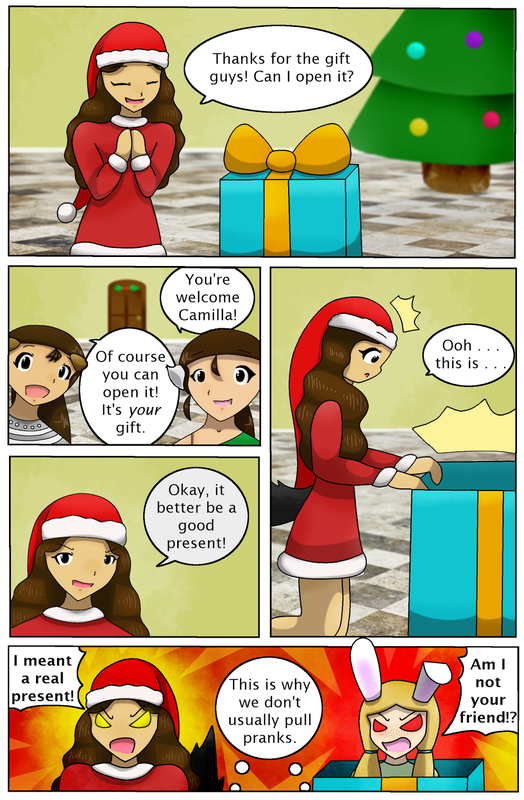 Camilla: Okay, it better be a good present? Camilla: Ooh . . . this is . . .
Camilla: I meant a real present! Chanel and Sarah: This is why we don't usually pull pranks. Maya: Am I not your friend! ?